We’re a small technology company whose staffers enjoy a special benefit during the height of winter: a biennial all-hands gathering at our corporate HQ in tropical San Juan, Puerto Rico. This year the Embodee team, based in the United States and Europe, converged last month in San Juan, starting the new year after significant and still-ongoing staff growth and marking the start of ambitious plans for the coming years. Of course there were conference room meetings to review what we accomplished in 2018 and to plan, forecast, and plot future innovation. But there was also touring historic San Juan, visiting beaches, and taking in the vibrant nightlife. Some of the newer staffers did all this alongside colleagues they had just met face-to-face for the first time. 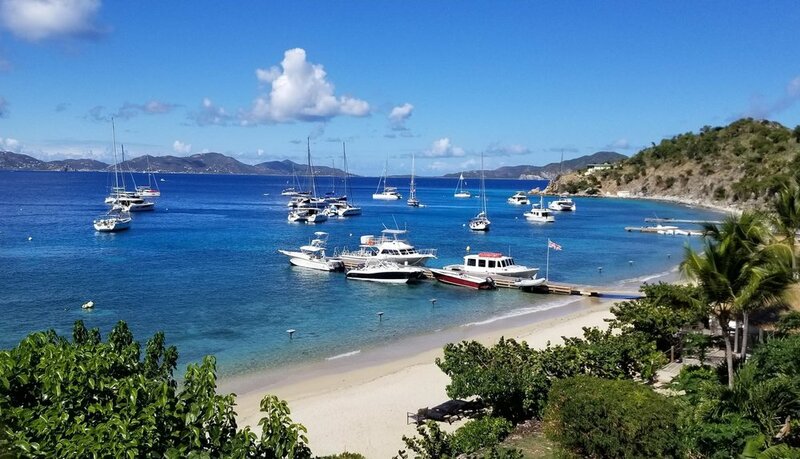 The highlight of time set aside to blow off steam and recharge for the challenges ahead were four days and three nights at a small outpost in the British Virgin Islands, about 100 miles east of San Juan. Sailing, swimming, and snorkeling in the crystalline Caribbean were a great tonic for any employees beset at home with cold and snow. Our slideshow photo album best tells the story of our week together. Oh, did we mention that we have jobs available?